With an estimated 25 million tourists in 2015, it is no doubt that the tourism sector is Greece's key economic pillar. 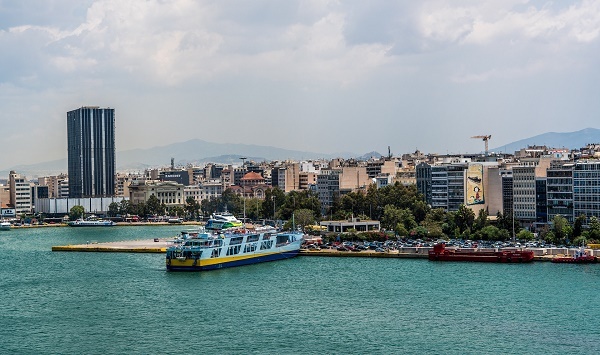 While holidaymakers enjoy the beauty of the country, expats seeking a life there should note that it will take years for Greece to recover from the financial slowdown in eurozone. Local wages fall short but the low cost of living helps to offset that a little. There is a lot to love about the welcoming Greeks and their culture - settling down will be a breeze, if you have some command of the modern Greek language. It’s not a myth that Greece is a paradise for time immemorial. Being home to the first ever Olympics in world history, Greece is proud of its modern sports heritage. Sports like football and basketball are a primary means of recreation in the country. Officially called the Hellenic Republic, Greece is fast becoming a popular expat destination, partly because of its mystic beauty and mostly because it is, after all, a developed European nation, teeming with the promise of better opportunities, and a new life filled with adventure. Ranked as the second most industrious country in the Organization for Economic Cooperation and Development (OECD), it also has the largest work-hour ration among the European nations. Shipping and Tourism are the two primary industries in Greece. The shipping industry accounts for 4.5% of the country's GDP while tourism makes up 15%. Education starts at the age of six for primary school. At the age of 12, they start gymnasium, the European equivalent of secondary schooling where a pupil is prepared for university academic study. This so-called ‘cradle of Western civilization' is located in the southeastern portion of Europe. It has three main climates: Mediterranean, which can be mildly cold and wet in winter, and dry during summer, Alpine, which is mostly experienced in the mountains and is primarily consist of harsh cold winds, and Temperate which spells damp winters and hot summers. Almost 80% of Greece's land area is dotted with hills and mountains, the most famous of which, would be the mythological throne of Zeus, Mount Olympus. The cities of Thessaly, Central Macedonia, and Thrace, however, are mostly composed of vast plains.If you wish to go to Greece and see the country where the ‘myths of the gods' are told, you'd either have to take the road or the railways system, which has been highly modernised since the 1980's. Improvements in the capital, Athens, include the international airport opened in 2001, the suburban motorway Attiki Odos, which was opened in the same year, and the metro system (expanded in the year 2000). The majority, 97% of the population, belongs to the Greek Orthodox religion. The immigrant population, on the other hand, has approximately 200,000 Roman Catholic Church members. There are also Muslims, mostly situated in Thrace. The locals are big on celebrations and often host parties with a huge crowd of family and friends. Grecian food is European cuisine at its healthiest. Meals are almost always made with fresh ingredients and in small portions like meze, (an array of appetizers) which is enjoyed with dips like feta cheese or tzatziki (dip made of yoghurt, cucumbers, garlic, olive oil and other herbs). As with most European nations, members of the European society are not required to secure a visa to enter or do business in Greece for 90 days. Included in this list of exempted countries are U.S citizens, Australians, Canadians, and the Japanese. If you wish to do business or stay as a permanent resident of Greece, you would need to secure a separate resident and working visa. A special written permit must be obtained from the Grecian Ministry of Labor to an immigrant who wishes to gain employment in the country. Expats relocating to Greece will find no difficulty searching for removal companies. Shipping is one of the major industries in Greece. The Mediterranean is one of the busiest areas in the world. There would be hundreds of movers in Greece competing to offer the best deal and usually provide overseas shipping quotes for free. Almost all household and personal essentials are easy to find in Greece. Imported goods from the US and Europe are available, especially the capital, Athens, where big name shops and luxury goods are found. During summer, expats should pack extra sun block to get ready for Greece's hot temperature. Make sure to also pack light clothing, sunglasses, raincoats and an umbrella as well as winter gear such as heavy coat, long trousers, socks and boots. Greek winters usually last from late November until early February. 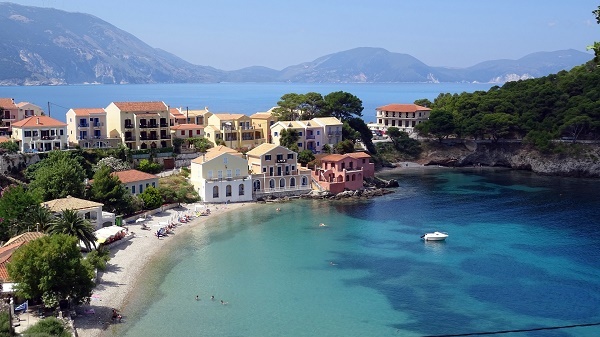 Removals to Greece is duty free if one has been granted a residence permit before arrival. Electric appliances such as a computer or television can be duty-free if the quantity is reasonable. Appliances should be compatible with Greece's electrical current, which is 220V (50Hz). One should bring proper transformers or converters if bringing North American appliances. As it is known to be the place of the gods and goddesses, Greece is a place where you will find a life amongst the powerful and wealthy. It clearly belongs to the list of top attractive expat destinations simply because of its breathtaking, majestic beauty coupled with the beautiful weather, fantastic beaches, warm people, great wine and influential culture. During the ancient times, the Greeks believed that they are at the centre of the Earth since the country is surrounded by Europe to the west, Asia to the east and Africa on its north. Aside from being one of the pioneers of democracy, Greece is also known for being the root of Western Civilisation. The founding of this country dates back around 2,800 years ago and today, expats will marvel at this country’s plethora of well preserved ancient temples, medieval palaces and roman architecture. Expats should now that this paradise doesn't come cheap, and though the cost of living here is more affordable compared to other EU countries, the prices in the local market are still quite pricey. However, Greece is still an ideal destination for everyone who wants to enjoy an inter-cultural experience while enjoying a life in the land of the Gods. Kids will surely enjoy the sandy beaches and pristine clear water in Greece which are ideal for walking, snorkelling, water sports, diving and sailing. Fishing is also a popular pastime among the locals, and young boys usually stay at home to help in sailing or fishing. Another favourite activity for Greeks is watching movies. An ideal place to relax with the whole family is the open-air summer cinemas in Greece which usually show English films (with Greek subtitles) using a projector. These cinemas have a garden-like atmosphere. Parents can enrol their kids in either summer or summer or sports camps where children do not only gain new friends, but can also earn to pick up a few Greek phrases during class. Two of the most popular summer camps in this country are Camp Kinderland which was founded in 1964 and the Skouras Camp where kids can have fun while learning the local language. Greek’s neighbouring countries Turkey and Italy left significant influences in the local cuisine. Mediterrenean is the best way to describe a traditional greek diet and is mostly composed of vegetables, herbs and grains. Some of the most authentic Greek dishes are moussaka (oven baked eggplant, minced meat and tomato), gyros (roast chicken or pork wrapped in fried pita), achinosalata (sea urchin with lemon and olive oil dressing), souvlaki (grilled meat on skewer) and of course, the signature Greek salad which is a mix of feta cheese, onion, tomatoes, cucumber, olives and vegetables. The Greeks love to dine out, and because of the influx of foreign nationals, some western fast foods such as Mcdonald’s and Pizza Hut are now prevalent in this country. However, expats who want to taste traditional Greek foods should dine at any of the local restaurants particularly those in Athens. The local markets are also a top destination for those who want to purchase local produce from all over the country. Greece is a land of beautiful, warm and affectionate people. 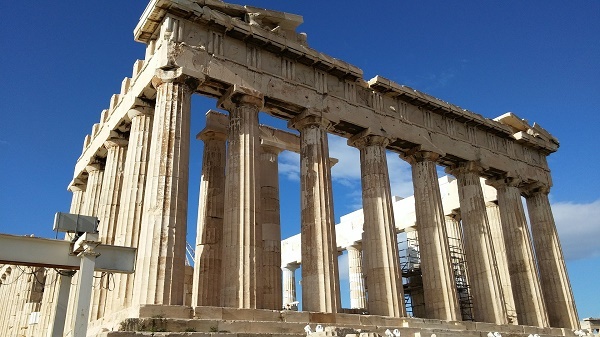 First-time expats in Greece will need to make only a few cultural adjustments to fit in. Expats living in Greece are only expected to respect Greek traditions and culture. Moving to Greece means accepting a society that is family oriented. Nepotism is accepted, as most companies are family-run. The corporate or the business world adheres to hierarchical culture. Respect should always be given to the elders or anyone who is more senior. Reputation and honour are important, thus, when sharing or pointing out ideas, be careful not to embarrass Greek associates or friends. Questions or any disputes can always be raised and resolved in good and subtle ways. When invited to a Greek home, always bring a gift for the hostess like a bottle of wine, brandy, pastries, whisky, or flowers. Expatriates in Greece should take note to avoid using the "okay"; one can give just a ‘thumb’s up’ to signal okay. Never raise an open palm at face level, as Greeks may find it an insult.